Fort Lauderdale is a city that was built by immigrants. Some were seeking commercial opportunities, others advantaged real estate, and most were just out to have fun and enjoy the tropical climate. The wealth of beauty and the easy water access to the barrier islands of the beaches and the islands in the Intracoastal Waterway and the mainland shore surrounding the New River, made the area ideal for shipping and water leisure activities. The multitudes that came with the water attraction created a community that is very unique. 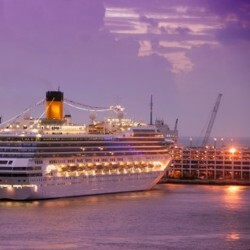 It has become known as the “Venice of America”, and “the boating capital of the world”. After the tour you will understand why. When seeing the city today, it is amazing to think that it all was built upon the desire to have fun in the sun. The name ‘Fort Lauderdale’, refers to a fort that was built during the second Seminole war, by Major William Lauderdale where the city now stands, and curiously enough, one of the most famous roads in the area today US-1, also carries the name of ‘Military Trail’, because it was the route that Mr. Lauderdale followed coming down on his crusade. An interesting side note, is that the USA is considered part of the ‘New World’, and Fort Lauderdale is a prime example of that. The Stranahan House, a site you will see during the tour, is a beautiful wooden home, in the heart of downtown Fort Lauderdale that was built in 1901. Once a trading post to do commerce with the Seminole Indians after the end of the war, it is now a historic site. It is the oldest surviving structure in Broward County. The heritage of the ancient Tequesta and Calusa indians dates back over 5,000 years, and is regrettably almost completely lost, preserved only in some pockets in the Everglades and museums of history. The culture that has flourished and built everything you see in the city of Fort Lauderdale, has a little over 100 years of history to its credit since it was some few plantations… Fort Lauderdale is a very new world indeed. 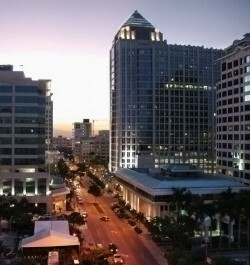 Because of its beautiful beaches, and warm sunny weather, Fort Lauderdale has been primarily a tourist destination for those seeking to get away from the stress in their life, or have fun exploring the tropics, but the economic stage has been advantageous and business prosperity has made Fort Lauderdale one of the most desirable locations for new, expanding and relocating international businesses. Not just for the business access and conditions, but for the high quality of life, and ease to attract qualified specialized employees to relocate to the area. The downtown sky rises are full of multinational headquarters, and financial, legal and support services, for a myriad of industries. It is a thriving, modern, city. 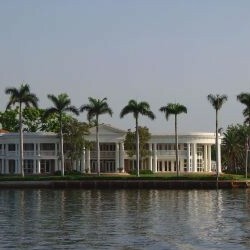 The tour of Fort Lauderdale takes you to the canals and the picturesque Riverwalk, which are cornerstones of the arts, cultural, and historic district in the heart of downtown Fort Lauderdale, with museums and heritage sites scattered along the way, and time to walk around and see the sights. Las Olas Boulevard, which connects the area to the barrier islands of Fort Lauderdale Beach, has gained international acclaim as a trendy dining, entertainment, fashion, and shopping area. Window shopping the galleries and boutique shops, sampling the foods of world renowned chefs in their bistros, and sitting al-fresco enjoying coffee and watching the world go by in this beautiful setting, are some of the fun things you can do. You will go through the Henry E Kinney Tunnel, which is a rare thing in Florida. Since water tables are so high, underground construction is almost non-existent, houses do not have basements, and tunnels are very hard to build and manage. For decades, the New River (Kinney) Tunnel was the only tunnel in Florida. From there you will have an amazing view of the cruise ships at Port Everglades and the sights of the Intracoastal Waterway from the heights of the 17th Street Causeway Bridge. As far as the eye can see, yachts and marinas line the shores of the canals, along with mansions of the rich and famous that fell in love with the area. The Bahia Mar marina, once a rescue facility for shipwrecked sailors, is now one of the largest marinas in the area, and the main host site for the Fort Lauderdale boat show, which is the largest boat show in the world. The tour is a fun and beautiful educational experience that will change your perspective on what the city of Fort Lauderdale is. It is also an excellent bonding opportunity with friends and loved ones, that will create the memories of a lifetime. 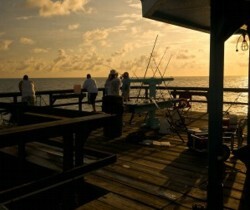 Need things to do in Florida?